I came across several tutorials suggesting you should delete the "hidden.img" file from the main image file, and re-flash the entire image file, but that is unnecessary. This method flashes the "hidden.img" image file only, so the entire process takes just a few minutes, and the flashing process alone takes just a few seconds. Remove the .md5 extension from the file name so that it ends with .tar only. Extract the .tar file to its own folder (I recommend 7zip). Rename the "hidden.img" file by adding a ".tar" to it, so that you get "hidden.img.tar". Reboot it directly into download mode by pressing the volume up + home + power buttons for a few seconds. If that doesn't work (such as in my case - it boots into the error message over and over again) then reboot the device by pressing volume up + volume down + power buttons (without the home button) for a few seconds. When it shuts down quickly press the volume down + home + power buttons to enter download mode. Reset Odin, and connect the USB cable back into your phone. Odin should display "Added!!". Click AP and select the "hidden.img.tar" file you renamed before. Let the device reboot itself a couple of times, and you're done. 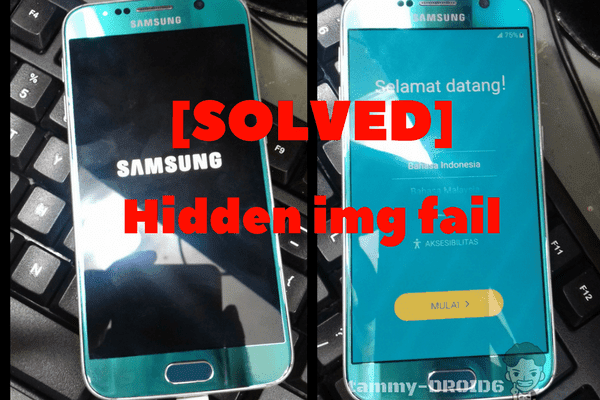 Belum ada Komentar untuk "[SOLVED] G920F Odin flash error hidden. img FAIL | Samsung Galaxy S6"